Zucchini? 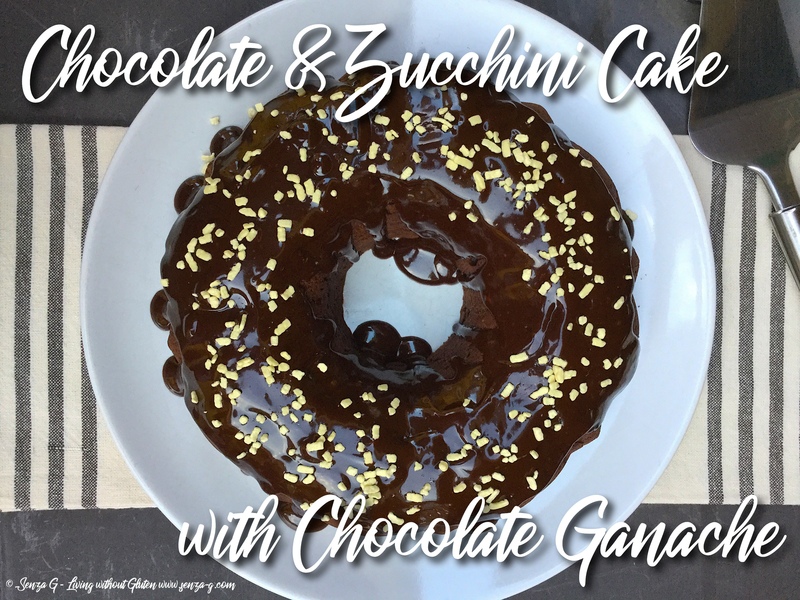 I hear you say … Yes this delicious cake is actually made with Zucchini! When I first tried this years ago, I too was quite apprehensive to be honest … vegetables in sweets? Then I thought, well, lets put it this way … carrots are vegetables too and everyone loves carrot cake no? And this is seriously good, trust me …. only one way to find out … take your mixer out and try it! It definitely is one great way to get your kids to eat veggies! Grease your cake tin/pan with some vegetable oil or butter. In a large mixing bowl, cream together the butter, oil, sugar and vanilla. Then beat in the eggs, one at a time until combined. In another bowl, combine the baking soda, baking powder and salt to the flour. Starting with the flour, add a little bit at a time, followed by a little yogurt to the batter, always stirring continuously. Start and end with the flour. Stir in the cocoa and espresso powder, and mix until smooth. 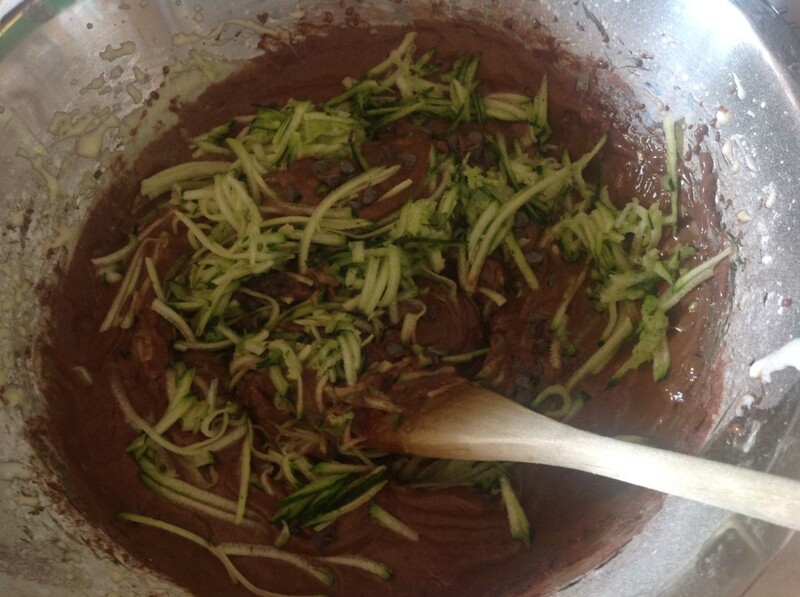 Fold in the shredded zucchini and the chocolate chips. Spoon the batter into the desired mold or tin. Approximately, three quarters full. Bake for about 50 minutes or until a skewer inserted in the center comes out clean. Remove from the oven and leave to cool slightly before removing from baking pan/tin. You can now either dust some icing sugar on top, drizzle white chocolate or even better, cover with chocolate Ganache. Chocolate Ganache is very easy to make, always in a 1:1 ratio, so no confusion. One part cream to one part dark chocolate. Heat the cream till it starts to boil in a pan. In the meantime, chop the chocolate as small as possible. Remove pan from heat and throw in the chopped chocolate. Do not stir. Just cover with a lid and leave for a few minutes. Then take a wooden spoon or spatula and mix the chocolate well into the cream till silky smooth. Pour over your cake. The longer you leave before pouring the thicker it will become.